UL Japan, a subsidiary of UL (Underwriters Laboratories), a global safety science organization, announced that it has issued the world's first GREENGUARD Certification for Homes to PanaHome Corporation's (the Panasonic Group) new residential "CASART" house. It is UL's first GREENGUARD Certification for Homes, building off of UL's experience certifying offices and commercial facilities for IAQ. UL and PanaHome, one of the leading housing companies in Japan, will make a contribution to the enhancement of quality of life by helping address consumers' health and safety concerns from the viewpoint of IAQ. Over the years, there has been a concern about volatile organic compounds (VOC) including formaldehyde, toluene, and xylene. These chemicals can be emitted from building materials, furniture and consumer products and they may cause harm to human health and lead to sick building syndrome, a condition that can cause headaches and respiratory problems and is caused by poor indoor air quality. As countermeasures, the Ministry of Land, Infrastructure, Transport and Tourism (MLIT) and the Ministry of Health, Labour and Welfare (MHLW) have established regulations and guidelines regarding acceptable chemical concentrations. However, these emission limits have been specified to only a small percentage of chemicals found indoors. A wide range of VOCs in the indoor air remain unregulated. 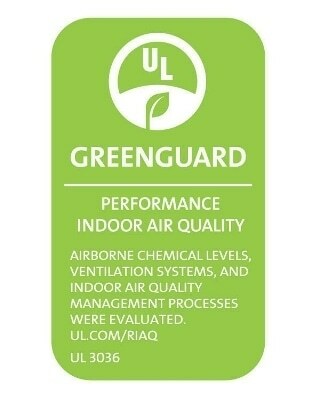 GREENGUARD Certification for Homes covers more than 300 VOCs. In addition, UL has also established an upper limit for total volatile organic compounds (TVOC) to restrict the emissions of non-regulated and unknown VOCs. PanaHome has given a top priority to provide healthy and safe living environments to its residents. As a part of the activities, it has conducted joint research with Keio University on atmospheric particulate matters (outdoor substances), such as PM 2.5, which are considered to have an adverse health effect. On top of that, GREENGUARD Certification for Homes enabled PanaHome to validate its "IAQ conscious housing" based on third party objective testing and verification results. This gives consumers a new choice for the selection of their houses. "We are very pleased to present the world's first GREENGUARD Certification for Homes to PanaHome. Through this program, UL is able to contribute to society, safeguarding consumers from excessive exposure of restricted chemical substances. We will continue to work closely with PanaHome which has shared a common goal and successfully completed our IAQ requirements," said Hidehiko Yamajo, UL Japan's CEO. Alberto Uggetti, vice president and general manager, UL Environment said, "GREENGUARD Certification for Homes provides homeowners with confidence that their home is made with low-emitting materials, which results in less polluted indoor air. Homeowners can maintain their home's indoor air quality by selecting GREENGUARD Certified paints, floorings and furniture products. GREENGUARD Certified products are accepted by more than 350 environmental certification programs including U.S. Green Building Council's LEED certification. We believe that PanaHome's industry leading decision to choose a third-party certification instead of self-declaration will raise consumers' interest in residential indoor air quality in Japan as well as in other regions."